This mod adds a fully functional Dwarf faction to the game. Based on the now-defunct RA mod. Summary: Six new factions. Controle any of the races of man that participated in the War of the Ring. This mod adds several new Factions of men. I'll put up some pictures and an army breakdown for each faction as soon as I can. But in the mean time, you'll just have to download and look for yourselves. This mod has to be played with the Model Detail set to Maximum or some of the objects within it will not appear correctly. This is pretty much the same as the Arnor encountered in the campaign but with four new Heroes. This is the army of Gondor that protects the city of Minas Tirith. This is the army of Rohan that protects the city of Edoras. This faction is the Beornings, Men from the Vales of Anduin and Laketown. This army is the southern tribes of Haradrim. This army is the eastern tribes of Variags, Wainriders and Men of Rhun. These are the descendants of the King's Men, Numenorean's that were corrupted by desired for eternal life and power over men of other, lesser races. Select the "Hero" drop down menu when setting up your battle. Click on any of the greyed out heros, then press the first letter of your Hero's name. Just press the letter a second or two after you click on a hero. Also, If you have several heros begining with the same letter, then you can just repeat the prosess and it will cycle through them in alphabetical order. Included in the AgeOfMen folder in a file called "a_newfactions". Just drop this into your main RotWK folder, someting like "C:\Program Files\Electronic Arts\The Lord of the Rings, The Rise of the Witch-king". Then load up your map and go to Edit/Edit Player List. Then at the bottom of the window, click on "Add Skirmish Players" and then click on "Ok" and save. If you are using a map with more than four players then you will need to delete the players Player_5="Player_5" to Player_8="Player_8" from the Player List. If there are objects belonging to these Players then Im afraid that without deleting them (or changeing their team if possible), that this mam will not support the new factions. This is because any map can only support a total of eighteen Players and adding my new factions would take the total over that limit. 2: Then make a copy of your shortcut that you use to run the RotWK game. 3: Go to the properties of the new shortcut and edit the target. Add this to the end of it (don't add these of corse, [ ] ). [ -mod "C:\Battle Of The Pelennor Fields"]. You need to add this exactly as it is here or it won't work. 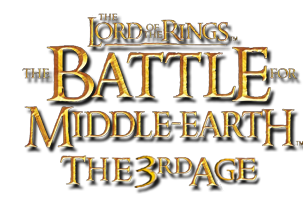 It should look something like this: "C:\Program Files\Electronic Arts\The Lord of the Rings, The Rise of the Witch-king\lotrbfme2ep1.exe" -mod "C:\Battle Of The Pelennor Fields". It's possibe that your Game may be installed in a different location but as long as you add [ -mod "C:\Battle Of The Pelennor Fields"] to the end of it, it should all work. 4: You can now load up the mod with this shortcut. You may want to change the shortcut image to something different too but thats optional. If for any reason this doesn't work, please let me know. I have problem...I followed the instruction to install the mod but just the start makes me play with the original game ... Can you help me pls? I'm very close to adding the second to last update for the mod. It will have all the final content. The last update will just tidy up everything, any missing textures and building, horde, hero and command button info and descriptions. The name of the mod will also be changed (again...) to "The Battle for the Pelennor Fields" as the current name is too much like the name of an existing mod, plus the name as it is, is far too long. Im just having a problem uploading the mod, bear with me for a while. Ok, my mod file is too big to upload here on the3rdage so I need to find somewhere else. I'll get it up asap. Ok. I hope that works. I'll be making a mod page for this mod on mod db also and will add a link here when I have it up. If for any reason this doesn't work, please let me know. Thanks a million for downloading this Mod by the way and I realy hope you enjoy it. Please let me know if there are any changes you would like to see, like more heroes for particular factions or maybe changes you'd like to see to existing ones. If there is anything at all that you think could could improve the mod/gameplay, please let me know. I will be updating the mod also (Im working on improving the AI at the moment) so if you like it, keep an eye open. I didn't play against each faction (just played as them to see new stuff, its realy good :D), and I looked through your .bse's. I may have found the weird farm AI problem. You need to add farm buildings to the .bse's. Farm Templates in a map aren't enough to make a good AI; you need to add a faction's farm to the exterior of the base. (place a farm a well a statue, a farm, a well, a statue, etc. around the base's perimeter) I saw that in SEE when I was playing on a custom map. The enemy didn't expand their base out; they built farms around the perimeter. I would say the solution is to add a command to the AI / placing farms on the bse to get the farm command. I have never done AI, this is just my guess. Cheers for the offer fella. Im just trying to get the last bit AI working for the Middlemen then I'll upload a new version. Then iron out all the little bugs, things like some of the archer hordes don't auto-attack buildings and stuff like. I have all the commandbutton stuff to do too (like icons and info)and the ifor for all the new structures and hordes. I was thinking of adding one or two new textures, like maybe different varients or already existing ones (not sure if you can do that but I've not tried yet). Also, I was hoping to make all my new factions work in WotR but I've not looked at that at all either. It maybe something you could help me with if your into it. There's actually quite a bit more than I first thought now that I start listing it, lol. 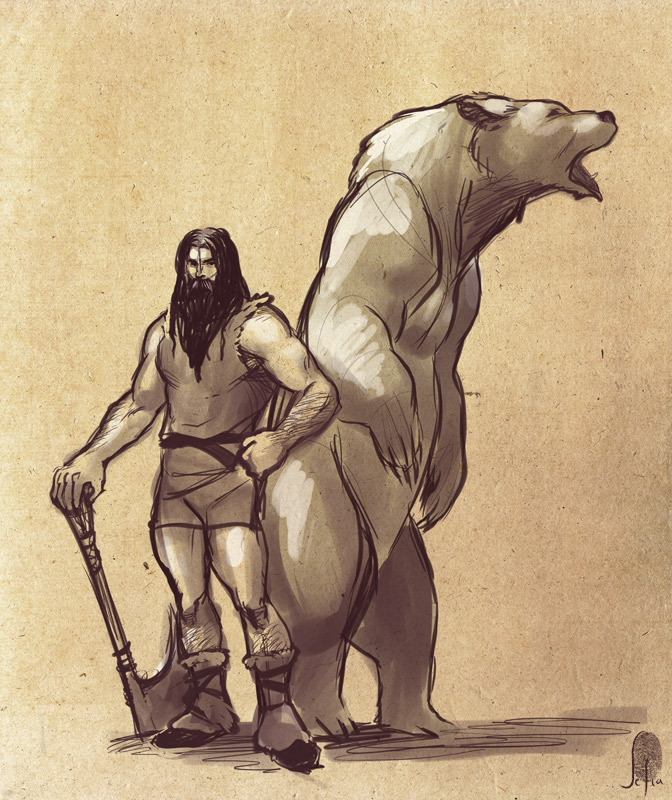 I am also going to change the name of the mod to something that suggests that the focus of the mod is in the races of men. Maybe something like Age of Men or The Third Age of Man or something like that. On a general note, I have now split the intended evil faction into two evil factions. A Black Númenórean faction called "Kingsmen", as in the King's Men. I had to go with Kingsmen as all the other names that I could think of were too long to fit into the army selection window. I might just change it to Numenor befor the end. The other faction is "Southrons", this army is made up of Hadadrim and Easterlings. Im having a problem with progressing with the Mod and could do with your help. If you are playing the Mod, could you please keep a look out for the AI armies building their resource structures irregularly. By this I mean building way to many and all right next to eachother. like, well within the normal distance of the next one so that it earns nearly no resources. Why Im asking this is because the Mod, at the stage I have it up to at the moment, is having the problem mentioned above and I need to know if the problem started before or after this version. If it started after this version and I am unable to solve the problem then I will have to start again from this point. Titan, if you're still working on your mod, I'd be happy to join your team, due to the fact I have archived my mod until I regain interest in it. I won't be full time, but I'll do projects that you would want me to do. Cheers for the offer fella. The asset.dat is for adding new stuff to the game, right? I think for the mo im happy working with whats there. Im kinda looking at it as an experiment in seeing what I can make with what I have (I have been using some really unlikely skins to reskin some new units recently). I'd love to know how to fix the Arnor Workshop though, man. That's has been bugging me for ages. Also, Im about to upload a new version of the mod with a new faction. I've just basically gathered up all the evil men form all the evil factions and dumped them all into one dirty big faction. I just need to churn out some Heroes and fix the "F"ing Easterling hord that I've been stuck with. Right, I've had this new army ready for a while now but after looking at it, I've relised that I have enough units to actually make two distinctly different faction. I was initially intending to make a Southron faction consisting of Hadadrim, Easterlings and the southern Black Númenóreans. Now I think I have enough units to make one Southron faction (Hadadrim and Easterlings) and one Black Númenórean faction. So, Here's the question: Is anyone really bothered either way? If your ata ll interested, please let me know either way. Thanks a million, Titan. PS: If you want a FIXED file for the Arnor workshop, I could tell you what to change. Unfortunatly, Im not sure if having windows 7 will change how you will need to install the mod (Im guessing you meant mod when you said "game", as in "how do i install the game"). No, I don't think that you need to update the game but you could alwayd do it anyway for good measure. This is how I install the mod on my com. *Then make a copy of your shortcut that you use to run the game. *Go to the properties of new shortcut and edit the target. Add this to the end of it (don't add these of corse, "[" "]"). [ -mod "C:\Middlemen"]. You need to add this exactly as it is here or it won't work. It should look something like this, "C:\Program Files\Electronic Arts\The Lord of the Rings, The Rise of the Witch-king\lotrbfme2ep1.exe" -mod "C:\Middlemen". It's possibe that your Game may be installed in a different location but as long as you add [ -mod "C:\Middlemen"] to the end of it, it should all work. *You can now load up the mod with this shortcut. You may want to change the shortcut image to something different too but thats optional. If for any reason this doesn't work, please let me know. Or if anyone else reading this sees that I have missed anything, Please also let me know. Added: It should look like this, for example, after you put in you C drive. C:\Middlemen\data\ini\....... Etc.